What does a red tie tell about your personality? 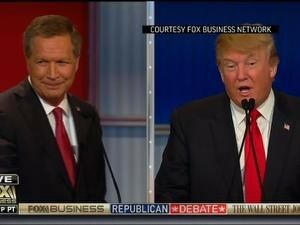 Check the Republicans’ debate in the U.S.
Why most of the politicians wear red ties with light shirts and darker suits? Because “red” is the power tie. Check the republicans’ candidates at their last debate. Most of them wore red ties. They wanted to convey an image of power and confidence. Lighter shades of red show creativity and individual style’s statement while darker shades help in building trust. Purple ties go the extra mile to show a daring, bolder and distracting look. Picking the right tie color can help get your message across. Every color has a different impact on people. Black ties are for sophisticated looks and are most suitable for galas and cocktail parties. Executives and fashion oriented people choose the grey tie in all its nuances. It is modern, edgy and sophisticated. Green is too loud. It is difficult to come up with the right shade. Yellow shows radiance and vitality. It reflects a warm personality. considered as an international power color.